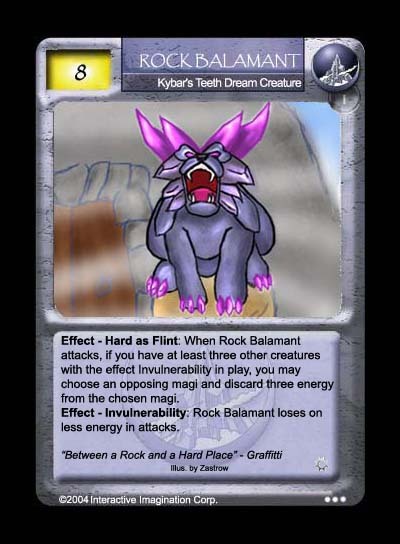 Kybar's Teeth is all about Invulnerability... at least where this set is concerned. It's other mechanic - Perpetual Motion, is not explored in this set. This costly Balamant is no exception to to this rule. The image is by Justin, who based it roughly on the Lava Balamant.